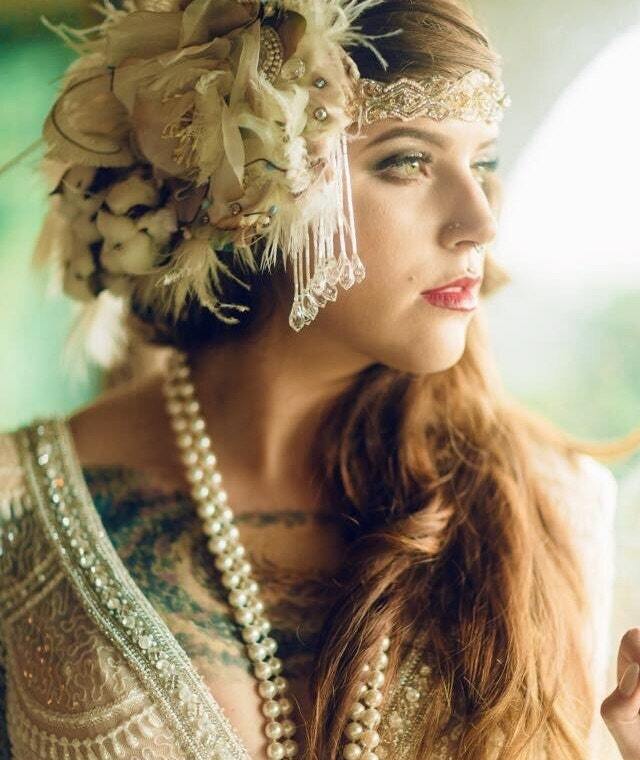 The ALANA Headdress- Custom Made luxe Headband Headdress with Vintage Elements. Fit for a queen. 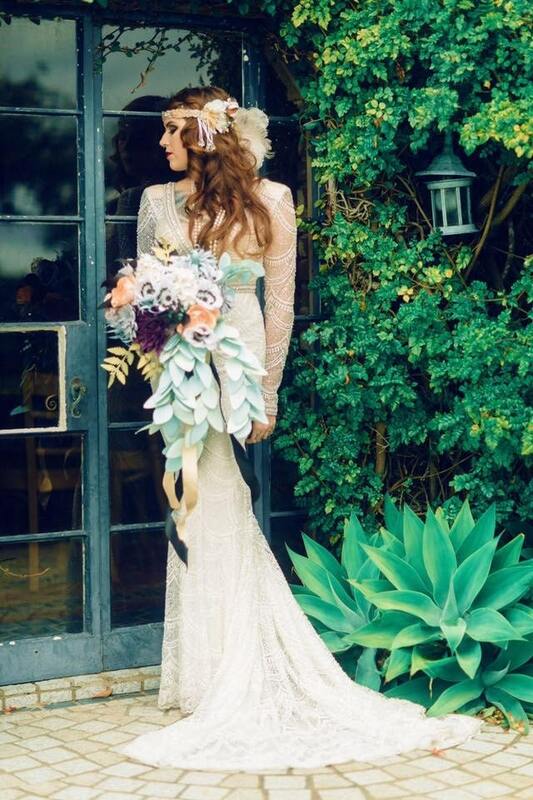 The ALANA Headdress- "Not Your Average Bride" by The House of Kat Swank. Custom made LUXE headband with vintage beading and sequins, upcycled vintage fabric, vintage lace and feathers. YOU CHOOSE THE COLOR SCHEME! 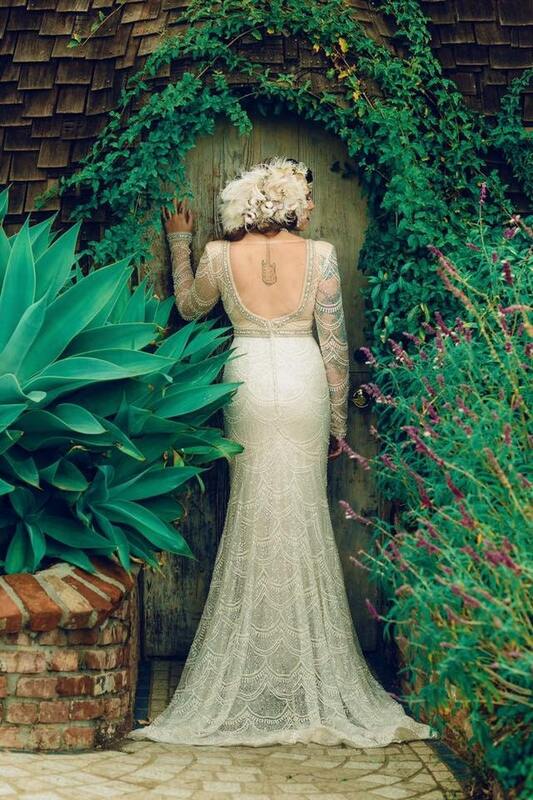 These photographs show the FABULOUS Samantha on her wedding day.